I was raised in Decatur, Illinois, in a Christian family who loved the Lord and His church. I have four sisters, two older and two younger. At age 11, I realized my need for the Savior, and surrendered my life to Christ. As a high school student, I heard and surrendered to the call of Christ to follow Him in ministry. 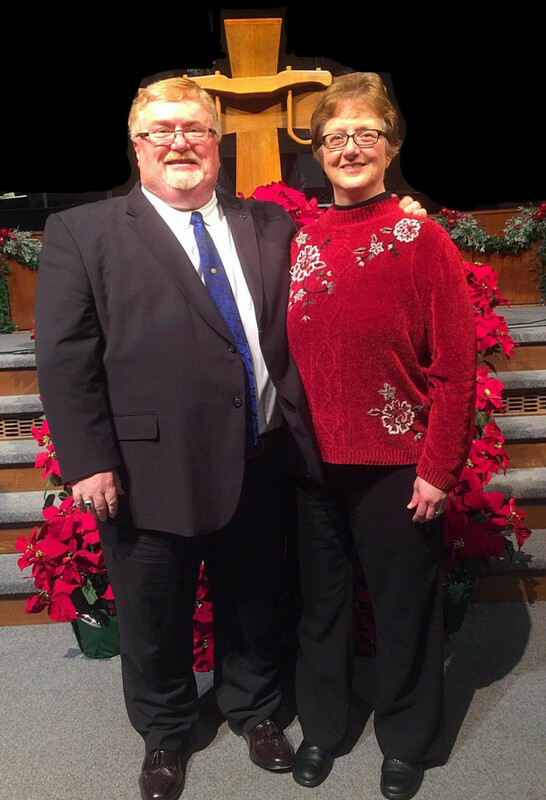 After being married, I was able to finish my degree in church music at Missouri Baptist College with a minor in religion. The Lord called me on to seminary in Fort Worth, Texas, where I completed a master's degree in religious education and much more study in church music. For the past 35 years I have been married to Debbie. We have three children. My oldest son, Ben, graduated at UCO in Edmond. He has been married for four years to Lauren and in April, Magnolia Grace was born. My middle daughter, Beth, lives in Neoga, Illinois, and has been married for two years to Brent Wallace and in January, Branson Daniel was born. My youngest son, Chris, still lives at home and will graduate in the fall from TCC. Through the years we have had the honor of serving the Lord in Texas, Illinois and Oklahoma. Debbie and I are both excited about how God is working in our lives! Before becoming our church secretary in 2006, Pat Haney had been enjoying sharing the love of Jesus with children of all ages. She feels they should have an opportunity to learn about our Savior when they come to church. Pat began working with our Childrens Ministry in 1990 . As a life-long resident of Jenks, her background brings a variety of experiences, exuberance and great expectations of seeing children grow and develop into Christ followers. Pat passionately believes that ministering to children is a partnership with parents to be the "hands and feet" of Christ for a child. She desires to see others work and grow together in the community of faith to care, serve, and love all children. She believes "playing" in the name of Jesus is some of the most rewarding, and most challenging work you can do in the community of faith. Pat has been married to her husband, Scott, for 37 years. They have four sons. Their eldest son, Dan and his wife, Renata, live in the Tulsa area and have one son and one daughter. Jon and his wife, Lindsey, reside in the Tulsa area, Mike and his wife, Ruthie, reside in Broken Arrow, and Paul, a graduate of Jenks High School, is employed in Tulsa.